-The Furniture Gazette, Sept. 29, 1883. Christopher Schwarz, editor of Popular Woodworking, and Joel Moskowitz, founder of Tools for Working Wood, have teamed up to reprint, expand and annotate the 1839 edition of The Joiner and Cabinet Maker. I also contributed a chapter, “Contextualizing ‘The Joiner and Cabinet Maker'”, so am unapologetically biased about this book! The first section reproduces the complete 1839 edition, which consists of a fictional boy describing his apprenticeship, accompanied by a large amount of historical information about cabinet making in the mid to late 19th century. The next section consists of Chris following the textual descriptions in the book and builds three projects; a packing box, a schoolbox and a chest of drawers. In a conversational writing style, he adds his own knowledge of woodworking techniques, bits of history and documents building the projects photographically–the overall effect is like having a private tutor guide you through the project. I examine three editions of this book (1839, 1841, 1883), relate them to the history of book structure, then investigate how their physicality influences our interpretation of the text. I am very interested how craft based information gets transmitted through descriptions and manuals. 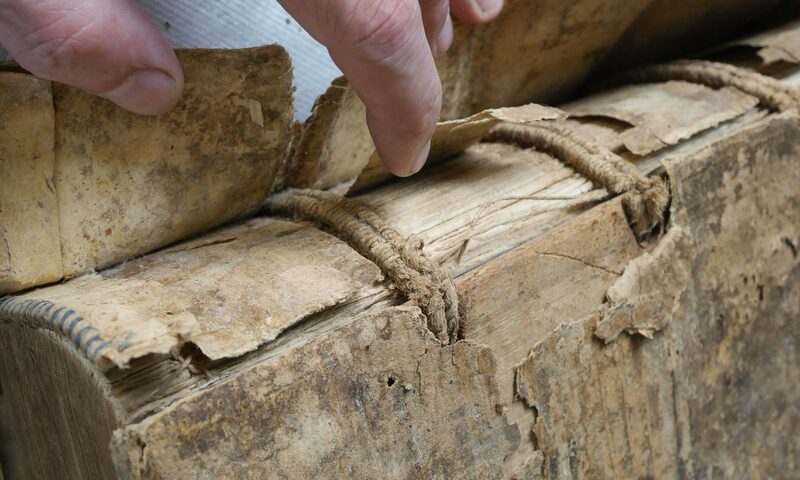 The hands on explication of historic texts, rather than just reading, is invaluable to a deep understanding, and often opens up new areas of inquiry. Also, I attempt to make a case for the value of primary sources and their conservation, written for the general public, rather than preaching to the usual conservation and rare book choir. For readers who haven’t attempted any woodworking, this book has enough general information, historical details and how-to information to serve as an wonderful introduction. I should be getting copies in sheets later this month, that I will be selling, and well as providing it for students in the historically oriented Cloth Case Binding class I am teaching at North Bennet Street School, Boston, February 19-21, 2010. I also want to credit Matt Murphy for assisting me with some research, especially concerning Charles Knight & Co. Thanks Matt, librarians rule! Frankly I have been on the fence about buying this book not being sure that I would get much from it. But after reading Joel Moskowitz statement that “Of all the things I have done in woodworking getting such an important book from 1839 to a wider audience is the project I am most proud of so far,” I was pretty tempted. However, now I’m definitely buying a copy. How much will sets in sheets cost? I’m not sure how much set in sheets will be- most likely not a lot less than the bound copy. Will you make the announcement here when you get this book in sheets? Sure, and hopefully it will be sooner rather than later. Well, the books came, unfortunately there was some miscommunication somewhere, and they were sewn, glued, endsheets tipped on and trimmed. So they are really not much of a time saving for binders. But if anyone wants one, they are $20 + $10 shipping = $30. There is a good statement made in the blog. It is in fact very interesting how craft based information / information on woodworking gets transmitted via descriptions over the course of time. The article then points out the need of conserving such valuable information over the course of time. I have a small site on woodworking, especially on woodworking guides for beginners where I recommend plans and blueprints on woodworking. The great thing about these plans is that they are digital, so they will not have an issue getting transmitted over time. I only wish I shared your optimism about the longevity of digital documents!